Home Top News of the Day news Is India set to become another meth capital of the world? Is India set to become another meth capital of the world? The November 8, 2016 demonetization of the 500 and 1000 rupee notes and introduction of new bank notes to try to crack down on “black money” stemming from corruption, tax evasion, and financial fraud did “little to mitigate long term money laundering risks,” says a recent report prepared by the United States government. The exhaustive study—International Narcotics Control Strategy Report—is neither aimed exclusively at India nor is it India-specific. India figures in it as part of a mandatory annual worldwide survey of illicit drug production, distribution, and the criminal activities including the parking of illegal money associated with these activities. It also analyzes the willingness and capabilities of governments to police and investigate these crimes as mandated by US laws and international legal covenants (see boxes). India’s demonetization figures in this report as part of a global overview of money laundering vulnerability. The susceptibility stems from a widespread lack of access to formal financial institutions, particularly in the rural sector, that has resulted in the growth of informal financing networks. Even though the government, the report acknowledges, has launched financial inclusion programmes to increase the number of banked individuals, India is rated by Global Financial Integrity as one of the top four sources of illicit financial outflows over the last decade, primarily based on trade based money laundering (TBML) and abusive trade mis-invoicing. A major money laundering country is defined by statute as one “whose financial institutions engage in currency transactions involving significant amounts of proceeds from international narcotics trafficking.” However, the complex nature of money laundering transactions today “makes it difficult in many cases to distinguish the proceeds of narcotics trafficking from the proceeds of other serious crime. Moreover, financial institutions engaging in transactions involving significant amounts of proceeds of other serious crime are vulnerable to narcotics-related money laundering,” the report says. While one objective of the demonetization drive was to attack the twin menace of counterfeit currency, it failed to have an impact on or to tackle the long-term menace of money laundering. In addition to including India in the list of “major money laundering countries”, the report paints a pretty dismal picture of India’s standing in the world illegal drug trade. pseudoephedrine, both of which are used in the manufacture of methamphetamine. India’s geographic location makes it an attractive transhipment area for narcotics bound for Europe, Africa, Southeast Asia, and North America. Cross-border drug trafficking from Pakistan and Burma to India continues to be a major problem due to India’s porous borders and low enforcement capacity. 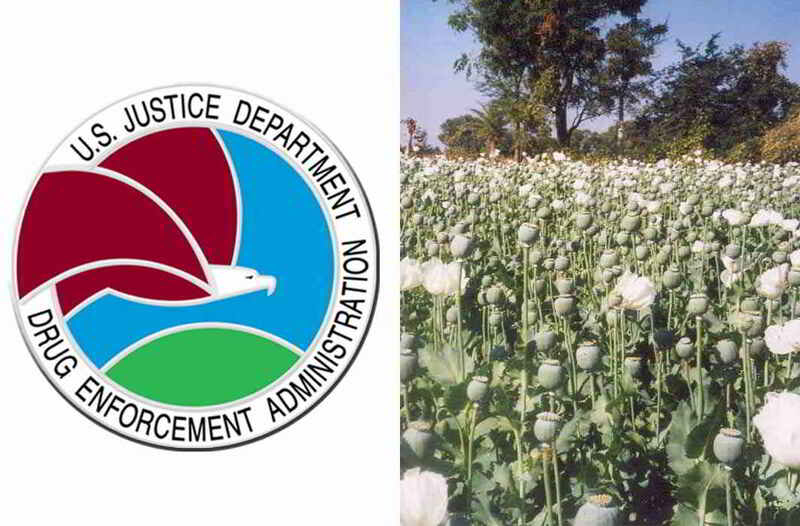 There is also evidence that opium poppy is grown illicitly in India, especially in the northeastern region. India’s large pharmaceutical and chemical industries are faced with increasing diversion of products for illicit purposes, including of illicit pharmaceuticals to the United States and other countries. Seizures of the prescription opioid tramadol traced to India are on the rise throughout the Middle East and North Africa. Poor intelligence exploitation during drug seizures results in few investigative leads. Lengthy delays between drug seizures and prosecutions have complicated efforts to develop an effective enforcement and prosecution strategy. The lack of modern drug legislation and effective drug courts severely hampers the ability of Indian law enforcement agencies to conduct complex drug conspiracy investigations. The report acknowledges that the Government of India, unlike many other nations, does not, as a matter of government policy, encourage or facilitate illicit drug production or distribution, nor is it involved in laundering the proceeds of illicit drug sales. In 1964, the Central Vigilance Commission (CVC) was established by law as an independent body to issue guidelines and conduct inquiries regarding government corruption. The CVC reports to the President of India through the Indian Parliament. However, corruption has historically undermined the effectiveness of government control regimes for illicit drugs. Although India has taken steps to implement an effective AML regime, deficiencies remain. While 2012 amendments to the Prevention of Money Laundering Act (PMLA) widen the definition of money laundering, the government has not changed its enforcement model. But what happened to the Dawood Ibrahim-terrorist connection in 2017? US authorities are keeping mum about why their latest International Narcotics Strategy Report (2017), has completely omitted – in fact deliberately deleted – names of organizations and individuals believed to be connected to the ISI. The 2016 report featured these links prominently. Intelligence sources are speculating that the omissions are deliberate because US authorities could possibly be in negotiations with Dawood and his surrogates as well with certain sections of the Taliban in view of changing US strategic interests and information gathering compulsions in the Pakistan-Afghanistan region. Reproduced below are relevant sections (see italics) of the 2016 report as well the 2017 document dealing with Pakistan. “Common methods for transferring illicit funds include fraudulent trade invoicing, money service providers, hundi/hawala, and bulk cash smuggling. Criminals utilize import/export firms, front businesses, and the charitable sector to carry out such activities. Pakistan’s real estate sector is another common money laundering vehicle, since real estate transactions tend to be poorly documented and cash-based. Pakistan’s national savings schemes appear vulnerable to money laundering, and laws providing certain immunities to foreign currency remittance accounts seem to provide an avenue for both money laundering and tax evasion. “Money laundering in Pakistan affects both the formal and informal financial systems. Pakistan does not have firm control of its borders, which facilitates the flow of illicit goods and monies into and out of Pakistan. From January through October 2015, the Pakistani diaspora remitted approximately $16 billion back to Pakistan via the formal banking sector. Though it is illegal to change foreign currency without a license, unlicensed hawala/hundi operators are prevalent throughout Pakistan. Unlicensed hawala/hundi operators are also common throughout the region and are widely used to transfer and launder illicit money. Some support the financing of terrorism. UN-designated groups continue to be able to solicit donations openly without apparent government reaction. 2017: “Additionally, the Altaf Khanani money laundering organization (Khanani MLO), a transnational organized crime group, is based in Pakistan. The group facilitates illicit money movement between, among others, Pakistan, the United Arab Emirates (UAE), United States, UK, Canada, and Australia, and is responsible for laundering billions of dollars in organized crime proceeds annually. The Khanani MLO offers money laundering services to a diverse clientele, including Chinese, Colombian, and Mexican organized crime groups and individuals associated with Hizbullah and designated terrorist organizations. The Khanani MLO also has been involved in the movement of funds for the Taliban, and Altaf Khanani, the group’s leader, is known to have had relationships with Lashkar-e-Tayyiba, Dawood Ibrahim, al-Qaeda, and Jaish-e-Mohammed. According to Dawn, Altaf Khanani pleaded guilty to a money laundering charge before a US court and signed a plea agreement on Oct 27 for a 20-year jail term and a fine of $250,000. Khanani was arrested following a sting operation by the US Drug Enforcement Administration, and has been in jail ever since. He was indicted in the US District Court of the Southern District of Florida on 14 counts of money laundering in June 2015. He is reputedly Dawood’s most powerful front man. Altaf’s brother Javed Khanani, a director of Khanani and Kalia International (KKI) money changers, died a month later, after reportedly falling from an under construction building in Karachi. The report lauds India for “demonstrating an increasing ability to act on mutual legal assistance requests” with the caveat that it continues to struggle with institutional challenges, which limit its ability to provide assistance. The government of India should seek to use data and analytics to systematically detect trade anomalies that could be indicative of customs fraud, TBML, and counter-valuation in hawala network, recommends the report.